These aren't quite sweet enough to be a cupcake but the yummy peanut butter frosting isn't very muffin-like. Bananas make these nice and moist! and 2 tbsp almond milk and mix well. 4. Spray mini-muffin tin with non-stick cooking spray and spoon muffin-cake mix into tin. Bake at 350 degrees for 13-15 minutes. 5. 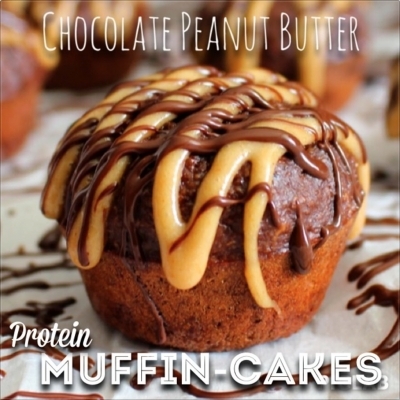 In a small bowl, combine 2 tbsp protein powder, 1 tbsp PB2, 1/2 tbsp peanut butter, and 2 tbsp almond milk. 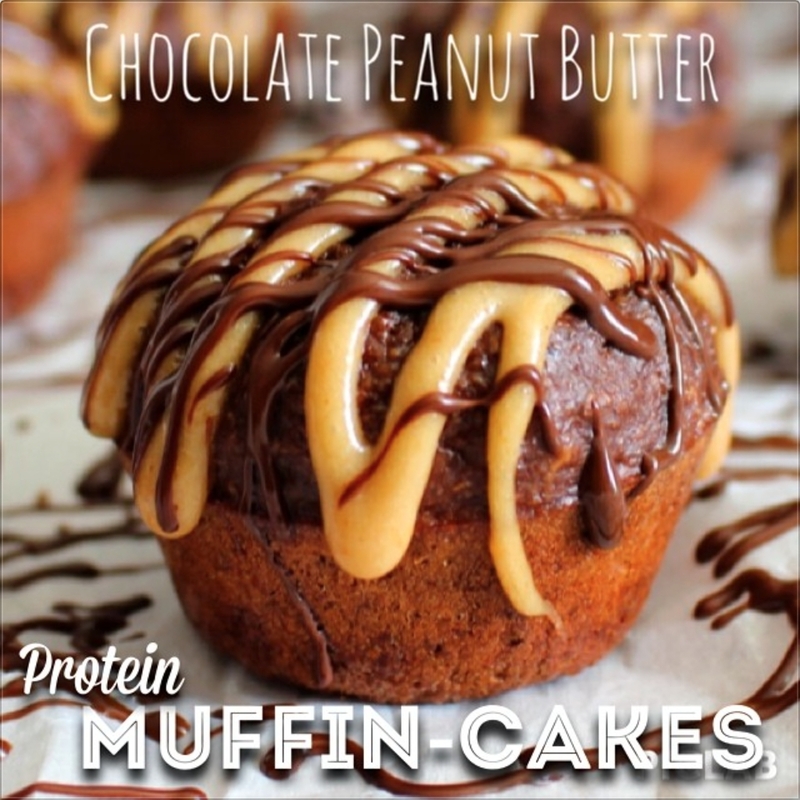 Once muffin-cakes have cooled, top with peanut butter mixture and melted chocolate chips.